Air Charter Basics and How You Can Fly Smarter With Cutter Flight Management. Corporate & Executive Air Charter is a travel secret that many smart travelers have kept to themselves — both for business and pleasure travel. Research has shown time and time again that many frequent travelers never consider air charter because of the perceived high cost or complexity. But as shown by the small, but growing percentage of travelers using air charter for their corporate and private travel needs, chartering an aircraft is less expensive and easier than you’d think. Cutter Aviation Air Charter wants to be sure you know about it… because it shouldn’t be a secret anymore. Over the past few years, more and more people from around the world have realized the fantastic benefits air charter provides. Businesses are using air charter for smarter point to point travel without encountering the frustration, hassles and costly delays and cancellations that airline passengers endure each day. Private air charter travelers understand that their time and comfort is worth more than a discount airfare when it requires you to deal with crowds, endless waiting, security hassles, and having to travel to the locations only served by an airline on the airline’s schedule. Air charter travelers know that it’s about saving time, finding the convenience of flying on their own schedule, departing and arriving at more convenient and closer airports, and realizing a far greater value for their travel dollar. 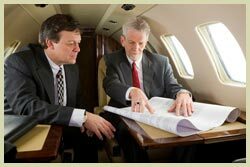 Bottom line: Air Charter is about having complete control over your travel experience and environment. This is all accomplished while enjoying the comfort, security and safety of a private aircraft maintained to the highest standards and flown by an experienced and professionally trained flight crew. These maintenance, training, experience and safety standards are demanded by the Federal Aviation Administration (FAA) for all Part 135 Air Charter Operators and the stringent requirements and regulations they must follow. 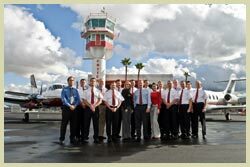 Cutter Aviation Air Charter is an FAA Certificated Air Carrier under Certificate #EKGA571D. Booking and flying via Air Charter isn’t as complex as you would think though — don’t let the talk of FAA regulations and standards scare you. Selecting an air charter operator is not difficult, nor does it require a vast knowledge of the industry or federal aviation regulations. Online directories, brokers, and local aviation companies will help you find an air charter operator and the FAA and Industry organizations such as the National Air Transportation Association (NATA) make it easy to research and know if they are certified and legal Part 135 operators to assure you the greatest level of safety. You may find air charter operators also being referred to as “on-demand” or “air taxi” operators — but they all mean the same thing: they are standing by to fly when you call upon them and operate around your personal schedule and needs. Before making your first call – we recommend reviewing the Consumer Guides to Air Charter published by the National Air Transportation Association (NATA) and the National Business Aviation Association (NBAA). We have provided both of these guides in Adobe Acrobat PDF format for you to download below. Download these short guides or read them online and you’ll be able to make more informed decisions regarding any future air charter travel you embark on.